CARFAX 1-Owner, GMC Certified, Excellent Condition, ONLY 3,874 Miles! WAS $34,995, PRICED TO MOVE $2,500 below NADA Retail!, FUEL EFFICIENT 24 MPG Hwy/17 MPG City! 4WD SLE trim. 4WD, Aluminum Wheels, Back-Up Camera, Onboard Communications System, Premium Sound System, Bed Liner, AUDIO SYSTEM, 8" DIAGONAL COLOR TOUCH... AND MORE! LPO, ASSIST STEPS, CHROME, 5" RECTANGULAR, LPO, BEDLINER, DROP-IN includes tailgate liner, ENGINE, 3.6L DI DOHC V6 VVT (308 hp [230.0 kW] @ 6800 rpm, 275 lb-ft of torque [373 N-m] @ 4000 rpm) (STD), TRANSMISSION, 8-SPEED AUTOMATIC (STD), AUDIO SYSTEM, 8" DIAGONAL COLOR TOUCH SCREEN WITH GMC INFOTAINMENT SYSTEM, AM/FM/SIRIUSXM with USB ports and auxiliary jack, Bluetooth streaming audio for music and most phones, hands-free smartphone integration, voice-activated technology for radio and phone; and "Shop" with the ability to browse, select and install apps to your vehicle. You can customize your content with audio, weather and more. (STD). Back-Up Camera, Premium Sound System, Onboard Communications System, Aluminum Wheels. Keyless Entry, Steering Wheel Controls, Heated Mirrors, Electronic Stability Control, Bucket Seats. Non-Smoker vehicle. Pricing analysis performed on 10/7/2018. Horsepower calculations based on trim engine configuration. Fuel economy calculations based on original manufacturer data for trim engine configuration. Please confirm the accuracy of the included equipment by calling us prior to purchase. 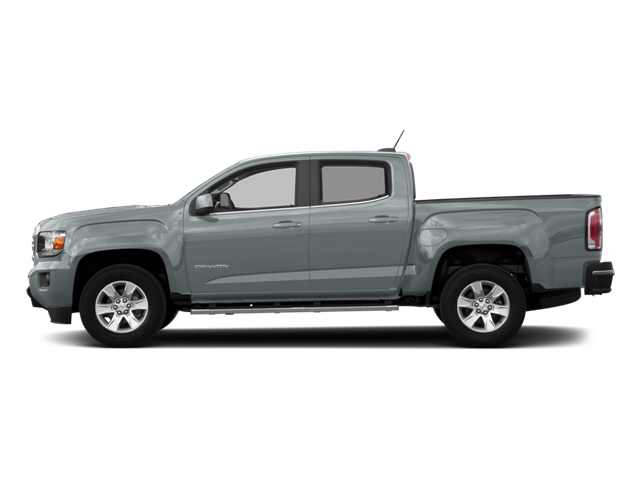 Hello, I would like more information about the 2018 GMC Canyon, stock# P16368. Hello, I would like to see more pictures of the 2018 GMC Canyon, stock# P16368.